When President Trump signed the 2018 Farm Bill (“Farm Bill”) in December 2018, the cultivation of industrial hemp—an agricultural commodity grown by at least three early American presidents and widely cultivated as a cash crop until the federal government made all forms of marijuana illegal almost a century ago—again became legal, and with it, hemp-derived CBD products with less than 0.03% THC. CBD is a non-psychoactive cannabinoid valued in treating many conditions and ailments, including anxiety, chronic pain, inflammation, nausea, seizures, and the opioid crisis. We likely will see federally-funded studies on CBD’s health benefits proliferate in the wake of the Farm Bill’s passage. This is a good thing. All CBD products contain THC, but those derived from the industrial hemp plant (a cannabis cousin to marijuana), generally contain less than 0.03%. Before passage of the Farm Bill, most states turned a blind eye to such products; thus, the proliferation of CBD shops nationwide. Now that Congress has passed the Farm Bill, signed, symbolically, with a hemp pen by Senate Majority Leader, Senator Mitch McConnell (R- KY), all cannabinoids derived from hemp (except THC) have been removed from the Controlled Substances Act (“CSA”). This makes the question of whether CBD is legal one of origin and production—is it derived from federally-defined hemp or from marijuana? If the former, it is now legal and has been placed under the FDA’s oversight. How Is CBD Regulated Now? The FDA is already taking steps to regulate the CBD industry, sending cease and desist letters to companies who allegedly have made claims about the medicinal value of their CBD without FDA approval. Expect the FDA to enact specific regulations targeting cannabinoids and specifically, CBD, and expect to see litigation challenging those regulations, all in the near future. This will not be the FDA’s first foray into CBD regulation. In June 2018, the FDA approved Epidiolex, a CBD-based pharmaceutical manufactured by GW Pharmaceutials for the treatment of seizures associated with two rare, severe forms of epilepsy. The FDA’s approval of Epidiolex forced the DEA to reconsider CBD’s status as a Schedule I substance, but ultimately, in September 2018, the DEA rescheduled Epidiolex only, and not CBD. 1 Information contained herein provides general information related to the law and does not provide legal advice. It is recommended that readers consult their personal lawyer if they want legal advice. No attorney-client or confidential relationship exists or is formed between you and Ms. Parrish as a result of this article. 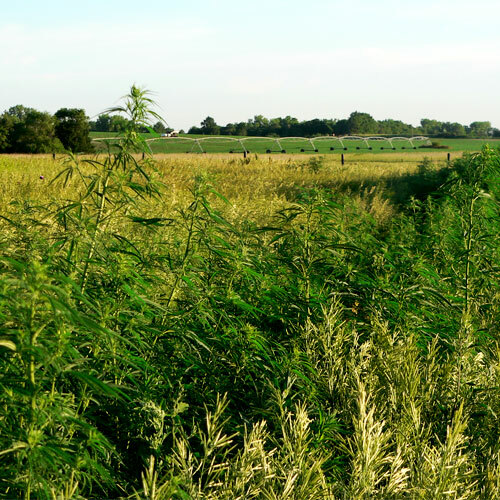 While the final language in the 2018 Farm Bill repealed Section 7606 of the Agricultural Act within the 2014 Farm Bill, which had mandated hemp be grown under the direction of a state agricultural pilot program or institution of higher education, the 2018 Farm Bill leaves states the option to regulate hemp, including hemp-derived CBD, thus encouraging a potential patchwork of states’ legislation. Here in Oklahoma, former Governor Mary Fallin signed industrial hemp legislation in April 2018, that created the Oklahoma Industrial Hemp Agricultural Pilot Program. This Program allows Oklahoma universities and farmers contracting with those universities to harvest certified hemp crops to be used for research and development, making Oklahoma one of nearly 40 other states with industrialized hemp programs. Even before the 2018 Farm Bill’s passage, a spokesperson for the Oklahoma Bureau of Narcotics, Mark Woodward, indicated in an interview with an Oklahoma City television station, that, if CBD sold here contains less than 0.03% THC, such products should not pose an issue. For Oklahoma hemp-derived CBD businesses, it is important to test the THC content of your product and to monitor and comply with applicable FDA regulations that will be implemented, to avoid potential cease and desist letters, fines, and sanctions for noncompliance. For Oklahoma hemp-derived CBD consumers, you can likely relax. And shop.